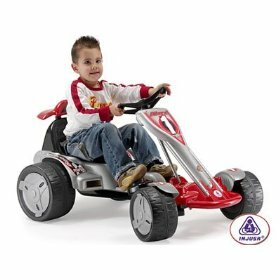 Kids electric motor bikes is a great option for children who want to have a real experience of riding a motorized vehicle. For the parents, keeping an electric bikes can save a lot of maintenance headaches in comparison with gas powered bikes. You just don't have to deal with all the regular mess that come with gas fueling vehicles. 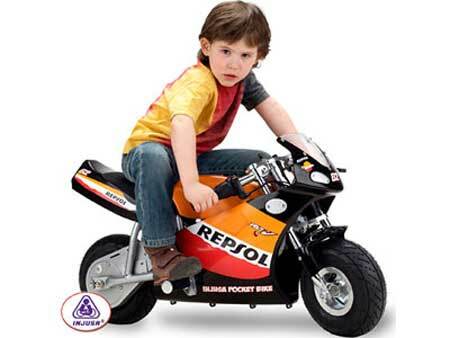 Kids electric motor bikes is a great gift to children of all ages. It gives them the feeling and thrilling of riding a real motorized vehicle, and they can compete against other children. Moreover, getting familiar with motorized vehicle in an early age can help them be more comfortable with riding and driving in the future. If your kid is sitting all day in front of the TV and you want him/her to get out of the couch, a great outdoor activity which can convince him/her to go outside is riding an electric bike. It's also a great opportunity for all the family to bond together for a fun ride and do some exercise. According to your child age, weight and maturity level, you should choose the best electric bikes. Of course that an electric bike that fit a 2 years old kid would be different from one that is suitable to a teenager. Also, there are different kinds of kids electric motor bikes that are suitable for different kind of uses. 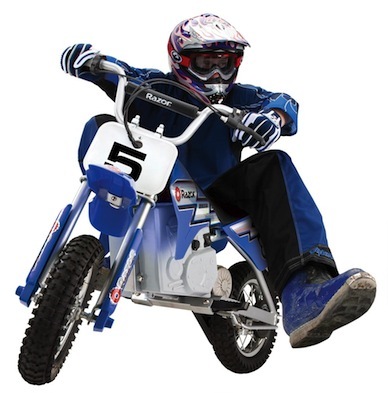 Electric dirt bikes, electric pocket bikes, electric scooters, all terrain vehicles, baby vehicles are just part of the types that have special editions for children. Look with your kid (It's your kids bike, after all) through the different types, models, designs, sizes and color. Look for reviews, look at the pictures, and for other cool features. The price of many of the kids electric motor bikes is very comfortable. Because this kind of bikes is fairly simply as opposed to the gas powered version, you can find e-bikes that start at about 100 dollars. This kind of bikes usually have limited performance which enable the use of small battery, low powered engine, etc and this is why the price can be fairly reasonable. Of course that are also luxury models that cost much more. In the case of gas powered bikes, this kind of variety is not so straight forward so this kind of vehicles which are aimed for children is usually more expensive. Young children need smaller bikes then older ones so check for the age recommendations before purchasing. But consider to buy a bike that is also adjustable as much as possible. In that way, you kid will be able to enjoy the bike for years to come without the need for buying a new one. As mentioned above, the performance of kids electric motor bikes is limited. This is good for two reasons. First of all, it mean that the bike will not cost so much, and second of all, we surely don't want that our child will be able to drive for 60mph on the dirt track. He still has time for it when he will grown up. So, depends on the age recommendations and type of the electric bike, the speed is usually kept low at about 7mph to 15 mph for older children. The battery life is also limited. It will be enough for less then one hour. Enough for a good fun ride but not enough for a daily commute. The motor is electric of course and therefore very quiet. Forget about waking the neighbors because of engine's noise. Your kid can ride it in the neighborhood without interrupting no one. Moreover, part of the kids electric bikes come with "adult" components, such as front & read disk brakes, advanced frame design, racing tiers, etc. One last things is the weight allowance. A good advice will be to purchase a bike with weight allowance this is higher then your kid weight. Your kid will probably going to weight more as time goes on and also if any adult would want to use the bike (which is possible in some of the types), he would be able to do that without braking it. Occasional crashes are unavoidable when kids are riding bikes and electric bikes are no different. So you need to ensure that your child sit comfortably on the bike, s/he wear all the safety precautions like helmets, knee and elbow pads, etc. Also make sure they s/he can stop it without any problem. As opposed to gas powered bikes, with the electric bikes your child won't need to deal with the gasoline. The electric components are not flammable and there is no risk of inhaling harmful fumes. Kids electric motor bikes include speed controls features, you can monitor how fast the electric bikes will go. And always remember to teach your child how to use the electric bike safely, how to use the throttle and how to brake. Where is it safe to ride, what to do under different weather conditions and what kind of safety precautions s/he needs to wear.